Enjoy live music, food and drinks, and a few fun beach games at The Grafton Winery & Brewhaus! 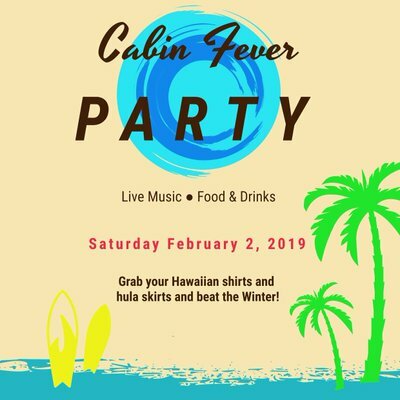 Put on your best tropical attire and visit The Grafton Winery & Brewhaus and enjoy a couples lunch and cabin fever party to melt away your winter blues. Time: 3 p.m.- 7 p.m.
Make it a getaway weekend with a stay at the award winning BEALL MANSION An Elegant Bed & Breakfast Inn. Check Rooms or BOOK NOW! Only 25 minutes from Grafton Winery & Brewhaus.